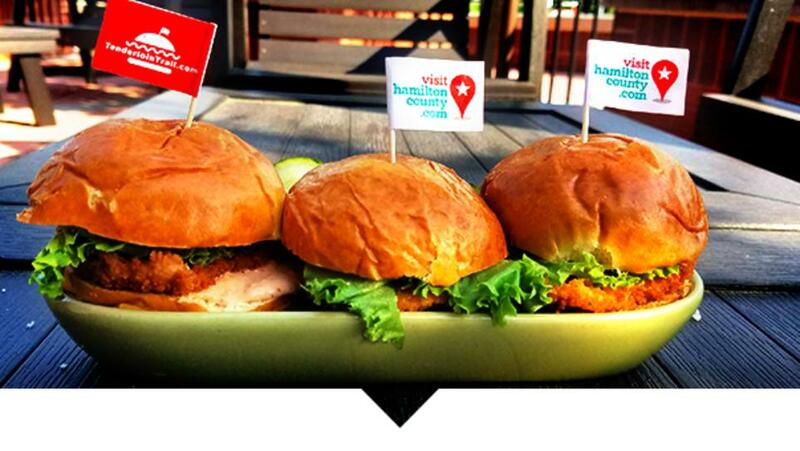 As a native Hoosier, I’ve eaten hundreds of breaded tenderloin sandwiches. I don’t really need a reason to indulge in crispy pork goodness, but I’m a creature of habit, so I welcome Tenderloin Tuesdays every summer as a reminder to try something new. This year, I followed the Tenderloin Trail to Carmel, where husband-and-wife team Kevin “Woody” and Chef Richelle Rider own two distinctively different eateries, each with its own take on the unofficial state sandwich. I expected a traditional approach at Woodys Library Restaurant, located in a century-old Carnegie library building in the Carmel Arts & Design District, and was pleasantly surprised to find an updated version of the classic: kettle chip crusted tenderloin. It’s also available grilled or blackened, but kettle chip is the way to go. My sandwich was the perfect size, the pork overlapping the bread without assuming platter-like proportions. And it wasn’t just any bread—this thick, juicy meat merited a heavenly Parker House bun. Served with the standard fixings and a side of kettle chips, Woodys tenderloin is joining my regular rotation. Since sister restaurant divvy specializes in sharing small plates, I suspected they’d be serving tenderloins on a different scale. 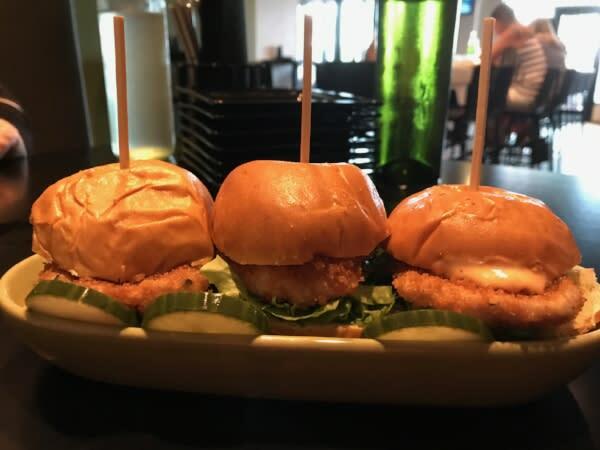 Indeed, its Hoosier Pork Minis featured panko crusted pork on three slider-sized buns with roasted tomato aioli, shredded lettuce and homemade pickles—a tasty combination and decidedly more refined than the typical sandwich. It’s going to be my special-occasion tenderloin. Tenderloin Tuesdays continue through July in Hamilton County, so my annual adventures have just begun. Tag us in your photos with #TenderloinTuesday and @VisitHamiltonCo and share your experience, and visit our blog all month long for more tenderloin tips and insights. Happy eating - and we&apos;ll see you on the trail! An Indiana native who worked as a newspaper journalist for more than two decades, Andrea is a freelance writer and editor who lives in Fishers with her husband and three cats. She is a member of the Hamilton County Leadership Academy board of directors (and 2014 graduate) and in her spare time enjoys playing poker and exploring restaurants north of 96th Street. Follow her traffic rants and random musings on Twitter at @JustAndreaDavis and personal posts at the much-neglected andreadaviswrites.blogspot.com.